Your taste buds will be touched by a warm and flaky strudel flavor with rich sweet blueberries filling combined with delicate cream on the inhale. On the exhale, there a powdered sugar taste also appears to create a perfect finish. 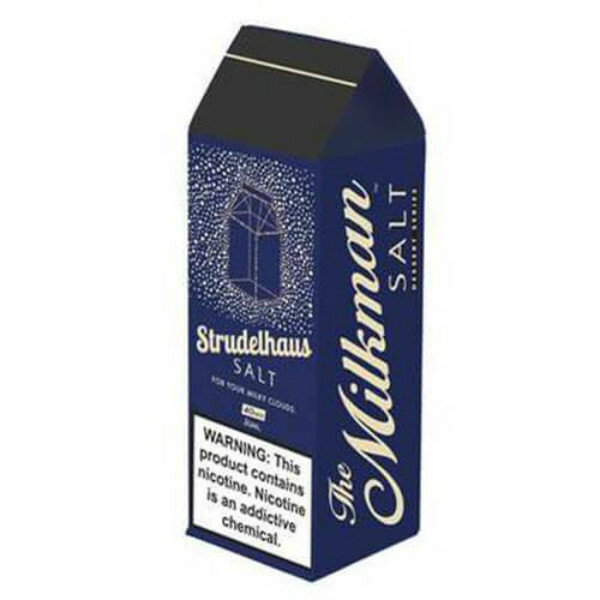 The Milkman Salt Strudelhaus is a nicotine salt based e-juice for gourmet dessert flavor enthusiasts. It gives an opportunity to get an authentic German strudel taste in a form of vape. Your taste buds will be touched by a warm and flaky strudel flavor with rich sweet blueberries filling combined with delicate cream on the inhale. On the exhale, there a powdered sugar taste also appears to create a perfect finish so that you will have a desire to vape more and more. Because of a nicotine salts formula, The Milkman Salt Strudelhaus is recommended for use only with low power devices and pod systems. 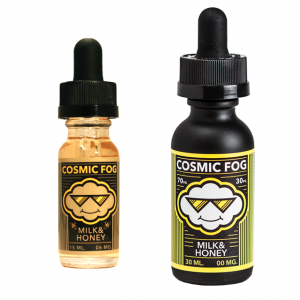 It is available in 40mg of nicotine. The VG/PG ratio is 60/40. 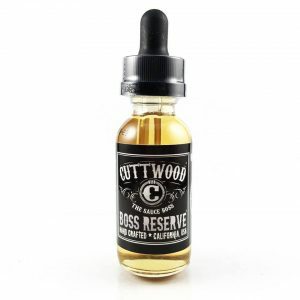 The e-juice comes in a 30ml unicorn bottle that stands out for an alluring packaging. The cardboard packaging is made in a milk packaging style. All in all, this divine pastry flavor can bring your vaping experience to a new level. Be sure to try The Milkman Salt Strudelhaus!